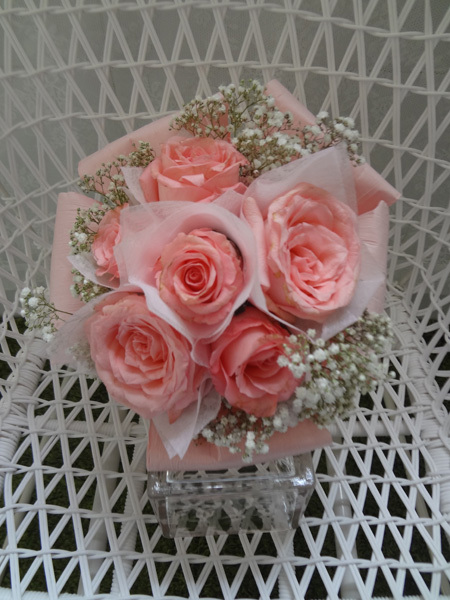 Classic pink roses with white baby’s breath. 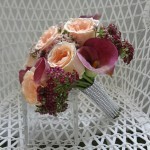 Baby pink paper ribbons are used to enhance the bouquet. 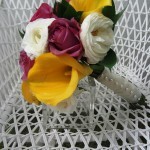 The stems are wrapped with baby pink ribbon with white polka dots. 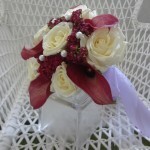 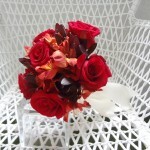 One look at this bouquet and we know the bride is sweet and pure at heart, a joyful bliss indeed. 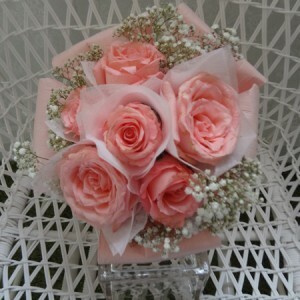 Flower meaning: Rose – happiness. 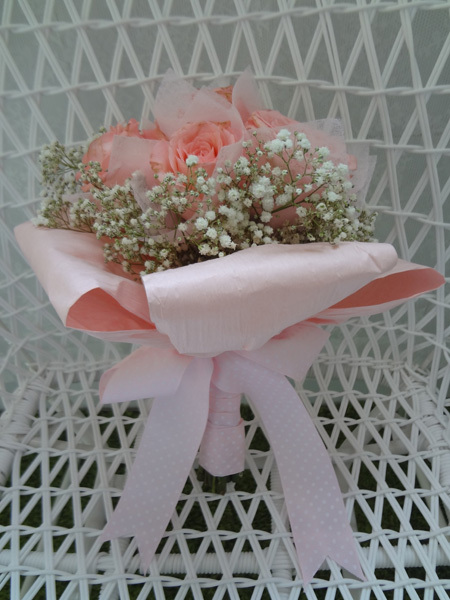 Baby’s Breath – innocence, purity of heart.